Stromboli is an old Italian dish that is quite easy to make and sure to satisfy the entire family. 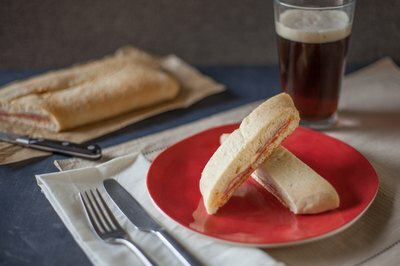 It takes only a few minutes to prepare and only 30 minutes to bake. You can serve this tasty meal in under 45 minutes. Preheat the oven to 325. Spread out the pizza dough on your baking sheet, making sure not to get any holes in the dough. 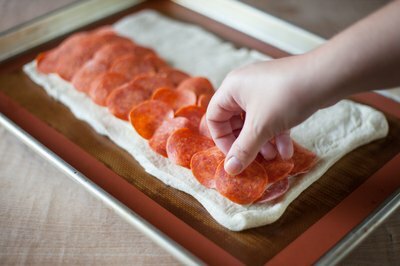 Layer toppings on one side of the dough. You'll need the other side to lay over and close the Stromboli. First layer the salami, then cheese, then pepperoni. Repeat this to make two layers. 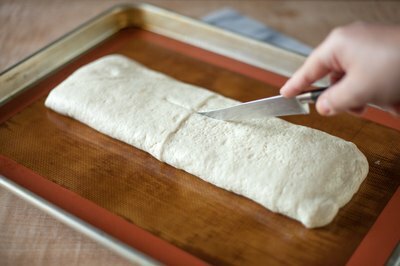 Fold over the dough to close the Stromboli. Make sure you fold in the ends, and pinch the edtes to make a good seal. Flip over the Stromboli so that the sealed end is face down on the baking sheet. Slice a small hole in the top to vent steam. 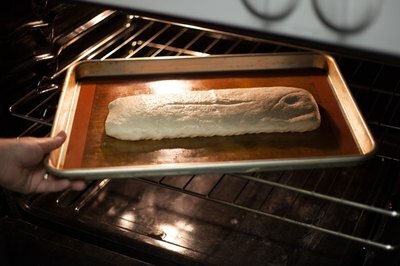 Bake the Stromboli in the oven for 20 to 30 minutes, or until the dough is lightly browned. 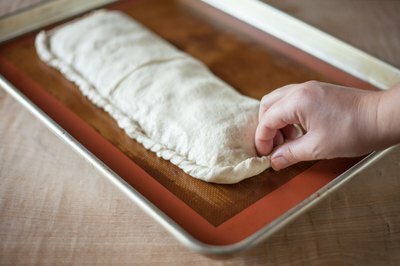 Let the Stromboli sit for 15 minutes before cutting to give it a chance to cool down and set. Cutting as soon as it comes out of the oven will cause the melted cheese inside to ooze out.